As licensed home inspectors in Asheville, we find damage to wood framing members from bugs on a regular basis and the older the home the more likely that mother nature’s little wood eaters are having a meal on you. I think the scariest parts about wood destroying insects are; one, they are mostly silent, and two, the amount of damage they can do if they go undetected can be catastrophic to your home’s structure. That is why it is imperative that you add the pest inspection report to your next home inspection in Western North Carolina or when you schedule your annual home maintenance inspection because we have the following bugs and they are hungry! In Western North Carolina we have Subterranean Termites that attack the home from the ground up! The Old House Borer like to tunnel through wood leaving behind a saw-dust looking material called frass. 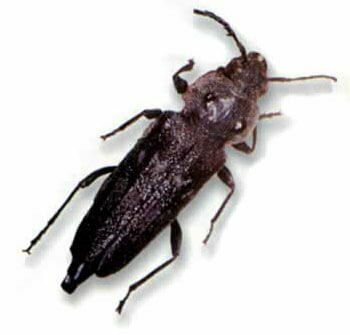 Similar to the Old House Borer in that they like to turn the wood in your home into dust! Named for the nests they excavate from wood and the smooth tunnels they use to move through wood. Unlike some on our list, Carpenter Bees do not eat wood but bore into it to form their nesting area. Does the word termite stress you out as a homeowner? Assuming you are one of the millions of homeowners that termites affect every year, you already know the damage that can be done. Consistently, termites cause severe structural damage every year, and property owners spend more than two billion dollars to treat them and repair their homes. The worst part about it, is that with most wood destroying insects major damage is done before you ever recognize the issue. For this reason, you should have your home inspected annually to prevent catastrophic damage. Termites harm around 600,000 homes in the U.S. every year. U.S. occupants spend an expected $5 billion every year to control termites and repair termite harm. Once a termite infestation is identified, it can be difficult to determine how long the colony has been established in the home. Typically, colonies take more than five years to grow to a size capable of causing damage. This is why you should definitely have a Pest Inspection performed at least once a year as part of your home inspection in Asheville or as part of your yearly home maintenance inspection in Asheville. The old house borer is a standout among this classification of pests as one of the most harmful wood-destroying creepy crawlies occupying Western North Carolina. The name is to some degree confusing since an many invasions are seen in homes only four to seven years after being built. The pupae drills through wood and ingests it. Tunnels made by the pupae can destroy the wood’s ability to be structurally supportive. The borers feed only in pine, spruce, and different coniferous woods, which makes up the vast majority of the construction materials used today and for the past century. While current stats concerning the cost to US homeowners was not available at the time this post was written it is sufficient to say that an unchecked infestation of the beetles could cost many $1000’s of dollars to treat for the bugs and to repair the damage caused to structural members of your home. 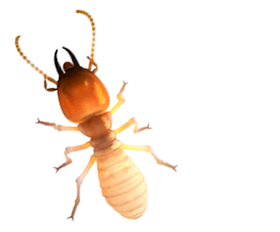 Most homeowners are very much aware of the way that termites can reduce a home to dust. Be that as it may, there are an array of creepy crawlies equipped for causing extensive damage to wood structures. 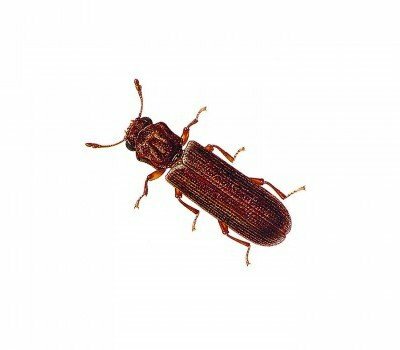 One such creepy crawly is the Powderpost Beetle, which likely comes in second to the termite as far as the destruction it can wreak on your home. “Powderpost” is the common name given to a few distinct types of wood-boring bugs that can invade homes. These beetles lay their eggs in the pores of wood. These eggs then hatch the larvae stage of these beetles, As the larvae feed on the wood they create a series of tunnels which weaken the structural properties of the wood. You’ve likely heard that carpenter ants can be as destructive as termites. You may have even had somebody reveal to you that termites are a multi-billion dollar issue, but carpenter ant damage in the U.S. is just in the many millions. While this is accurate, carpenter ants should never be left untreated. Whenever left untreated, carpenter ants can cause a lot of damage to your home. One reason carpenter ants don’t do as much harm as termites is that they aren’t as hidden as termites. 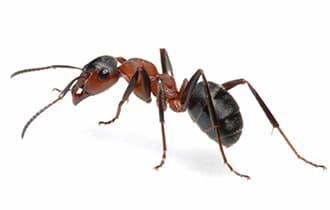 Since carpenter ants don’t ingest the wood, they have to find a way of disposing of the chewed up wood fibers. This sawdust or “frass” is pushed out of holes and amasses on floors and walls. At the point when this happens, it alerts the homeowner to a potential risk, and an pest expert is frequently called, who can stop the carpenter ants in their tracks. However, what happens when frass is concealed in an area that is difficult to see? The outcome is continuous harm that can start to look a great deal like termite damage. 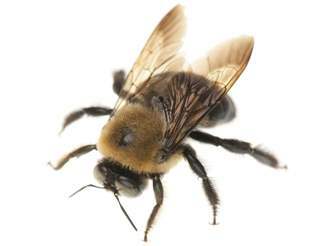 Carpenter bees are big, dark and yellow colored bees most likely seen in spring floating around the eaves of a house or the underside of a deck or patio rail, but can be found anywhere around the exterior of a wood sided home. They are frequently mixed up with bumble bees, yet contrast in that they have a dark gleaming tail segment. The carpenter bee got its name due to its habit of tunneling into wood to lay its larvae. The round half-inch hole is typically found on the underside of a wooden board or home overhang. A tale tale sign is the sawdust that is regularly found at first glance underneath the hole. Wooden decks, overhangs and other uncovered wood on a home are targeted first. Unless large numbers of carpenter bees are present and left unchecked, severe structural damage to a home is usually limited. The carpenter bees usually leave their waste outside before entering the hole and yellowish staining may be visible along with the saw dust.